SAGE is the world’s 5th largest journal publisher, and the 4th largest in medical disciplines. We are proud to publish a portfolio of quality journals across the spectrum of medicine, including: cardiology, neurology, gastroenterology, pharmacology and psychology. We have a rapidly growing medical journal portfolio, with the fastest growing medical and health sciences program globally in the last 20 years. We publish the journals of many respected and prestigious societies from around the world, including the European Society of Cardiology, United European Gastroenterology, American Orthopaedic Society for Sports Medicine, and the Royal Society of Medicine. We work with our partners to maximize the global dissemination of high impact research. 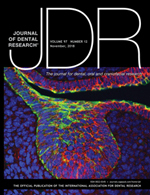 Journal of Dental Research (JDR) is a peer-reviewed scientific journal dedicated to the dissemination of new knowledge and information on all sciences relevant to dentistry and to the oral cavity and associated structures in health and disease. An invaluable resource for the orthopaedic sports medicine community, The American Journal of Sports Medicine is a peer-reviewed scientific journal, first published in 1972. 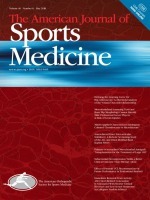 It is the official publication of the American Orthopaedic Society for Sports Medicine (AOSSM)! The journal acts as an important forum for independent orthopaedic sports medicine research and education, allowing clinical practitioners the ability to make decisions based on sound scientific information. 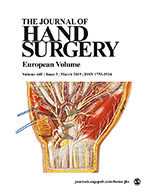 The Journal of Hand Surgery (European Volume) is essential reading for everyone involved in restoring the function to the hand and upper limb. Dedicated to the needs of hand, plastic, reconstructive and orthopaedic surgeons, it publishes the best selection of current papers on hand surgery. The journal regularly highlights key developments in a range of original, authoritative and highly informative articles written by distinguished experts from around the world. 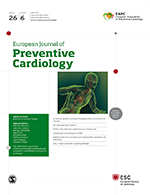 The Journal embraces all the scientific, clinical and public health disciplines that address the causes and prevention of cardiovascular disease, as well as cardiovascular rehabilitation and exercise physiology.